Celebrate Carol's most recent release "For You" available everywhere! 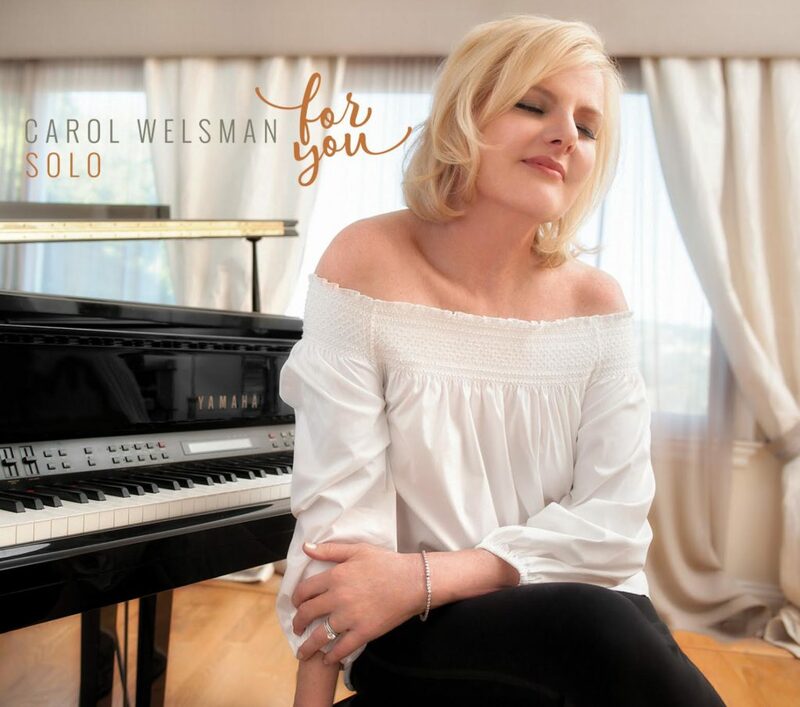 "Carol Welsman is the beautiful, blonde and altogether superb Canadian jazz singer/pianist who is NOT Diana Krall. She calls this disc [ALONE TOGETHER] her “truest to the jazz art form to date” which, aside from the odd formality of the locution, is inarguable. That’s the kind of thing that will happen when your band is composed of trumpet player Wallace Roney, bassist Rufus Reid, drummer Lewis Nash and guitarist Jay Azzolina. She has her own way around a standard and always has. Her singing won’t remind you of anyone, unlike Krall who sometimes sounds like Joni Mitchell and sometimes sounds like Julie London.) She performs jazz musician favorites like It Might As Well Be Spring, My Ship and the freely conceived title tune, one of the most traditional of “jazz naturals” in the American Song Book. But outside that repertoire she is equally good too. And when she scats, she does it with lusty authority. Three and a half stars."